God wants us to be kind to one another. In The Grouchy Ladybug, we hear about the kindness of a special ladybug. She shared with the grouchy ladybug and forgave her for being mean. As God's children - parents, grandparents, and young people - we love one another. All of us deserve God’s love even when we hurt others. As followers of Jesus, we are called to love others as Jesus loves us. We are called to forgive those who hurt us. 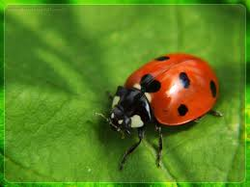 (1) Life Connections; an opportunity to reflect - as adults - on how the story of The Grouchy Ladybug relates to your life. (2) Catholic Connections for Adult Disciples: The Grouch Ladybug is a good way to remember how our tradition talks about loving kindness and forgiveness. (3) Family Practices: Ideas for forming our children in kindness and forgiveness. In what way(s) does Jesus example of forgiveness inspire you? Have you ever done a loving act of kindness for someone you did not like? Why? Why not? How are you a peacemaker in your family, your community, the world? How do you teach your children about forgiveness? What does your family do to resolve conflict peacefully? How is your family a peacemaker in the community, the world?